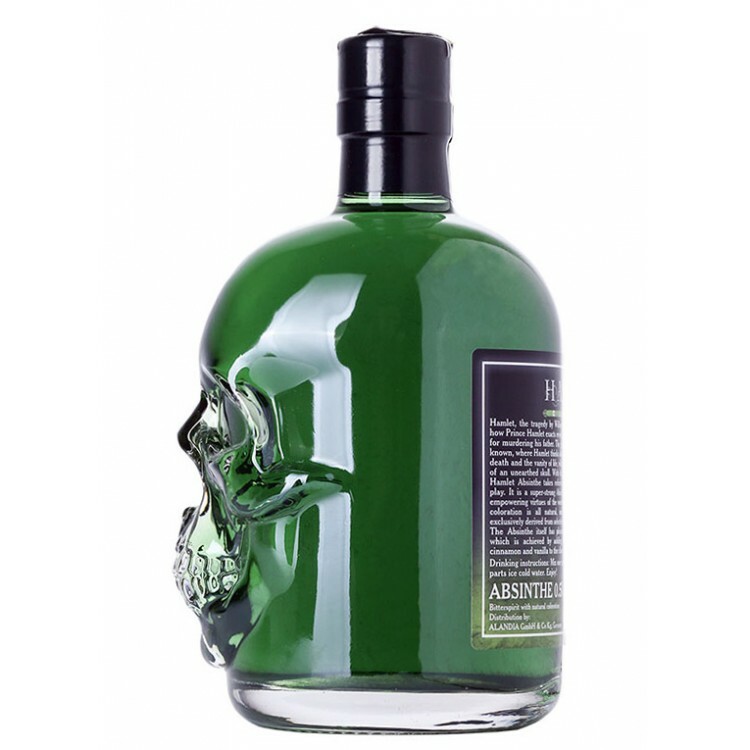 Hamlet Classic Green Absinthe is a strong Absinthe with 69% alc. 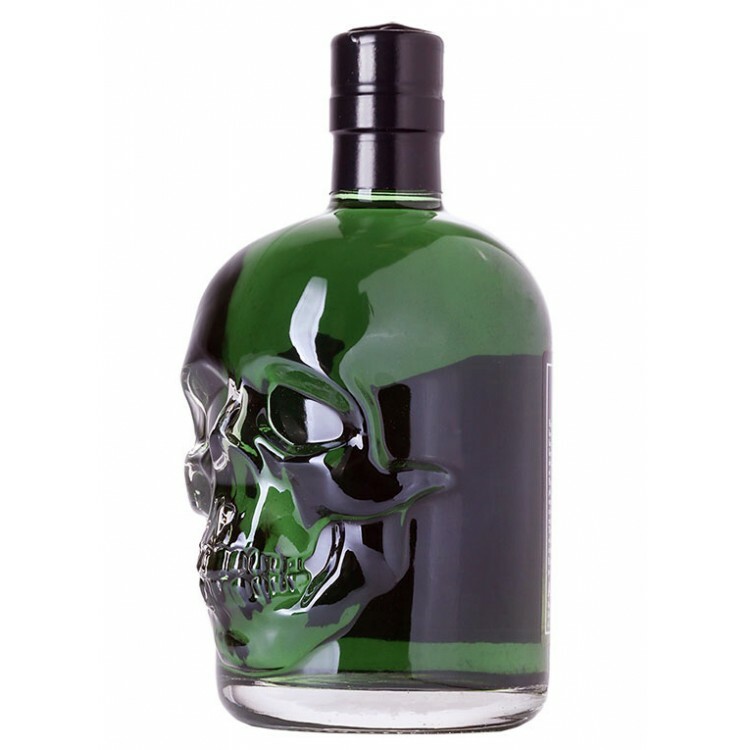 by vol (138 proof) and contains grand wormwood (artemisia absinthium). The coloration is plant-based, meaning that its green color derives from chlorophyll. Despite its strength Hamlet Classic Green has a surprisingly smooth taste, which is achieved by adding a bit of cinnamon and vanilla to the recipe. Hamlet, the tragedy by William Shakespeare, recounts how Prince Hamlet exacts revenge on his uncle Claudius for murdering his father. The gravedigger scene is well known, where Hamlet thinks about the commonness of death and the vanity of life, while looking in the face of an unearthed skull. 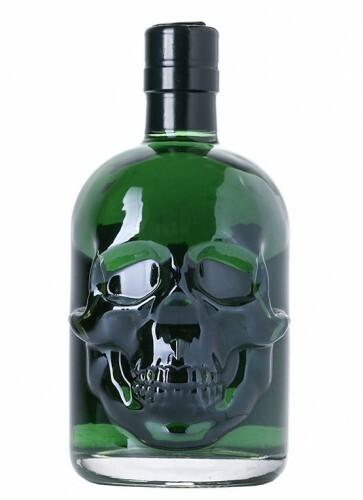 With its unique skull bottle Hamlet Absinthe takes reference to this famous play. It is a strong Absinthe with 69% alc. 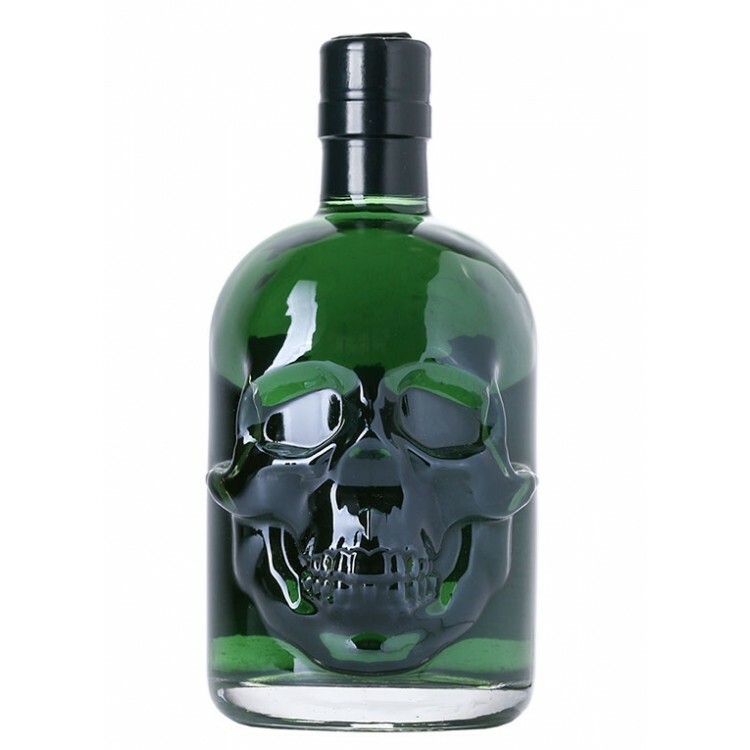 by vol (138 proof) and contains grand wormwood (artemisia absinthium). The coloration of Absinthe Hamlet Classic Green is plant-based, meaning that its green color derives from chlorophyll. Despite its strength Hamlet Classic Green has a surprisingly smooth taste. This is achieved by adding a bit of cinnamon and vanilla to the recipe. 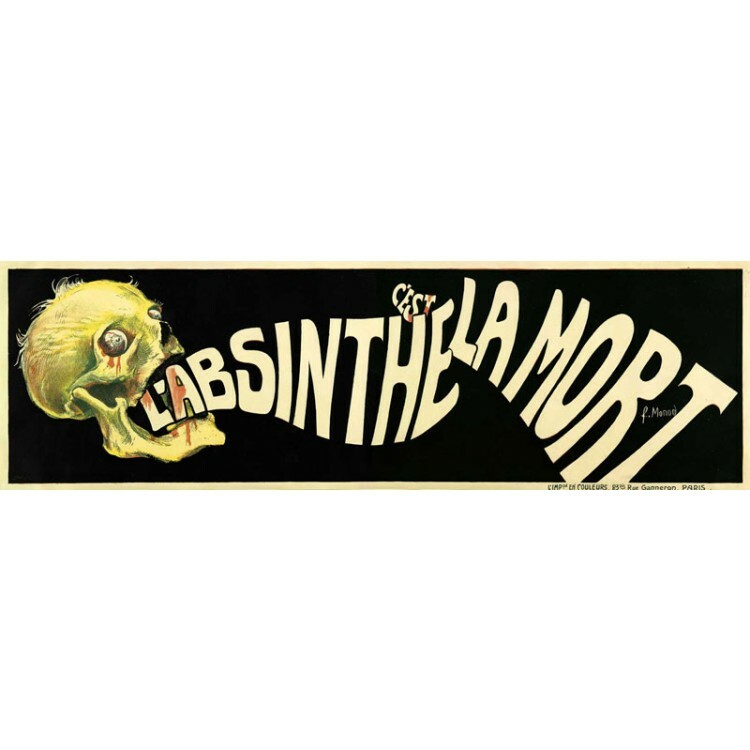 We recommend to drink Absinthe Hamlet Classic Green with one part Absinthe, two parts ice cold water and one sugar cube. Ideally in a skull glass, which you can also buy here at our store. Enjoy and don't be scared :)! The Absinthe Shop ALANDIA was founded in 2001. From this date on ALANDIA proudly serves the Absinthe community around the world (EU, UK, USA, CA, JP etc.). Shipping to the USA is made via Courier Express or Airmail. The delivery is guaranteed. This means if the box should not reach you - whatever the reason might be - we will reship or refund you your money. This is the trusted 100% ALANDIA Delivery Guarantee. 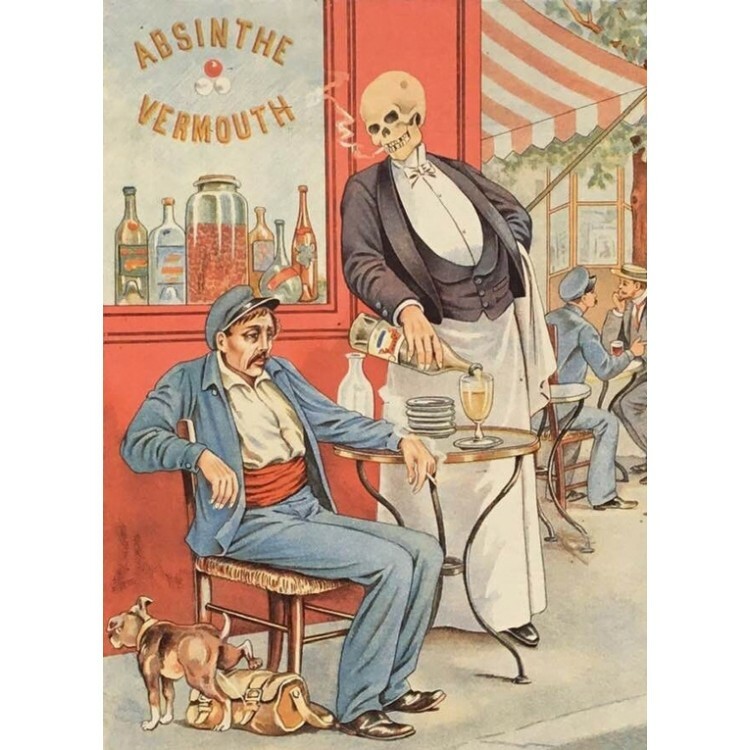 It only takes 2-3 business days (Courier Express) until your Absinthe arrives at your door. A tracking number is emailed to you as soon as your order is shipped. Therefore you always know when the Green Fairy will knock at your door. If you have any questions or comments, just email us. Please check out as well our Facebook Fanpage with more information about the Green Fairy and more than 17.000 satisfied ALANDIA Absintheurs. We would be happy to welcome as well you in the community! Oh my God! Wonderful louche but ... this is my (alcoholic) mouthwash! After the first glass, the bottle will remain untouched in the deepest dark bottom of my library, to preserve its "natural" colour.